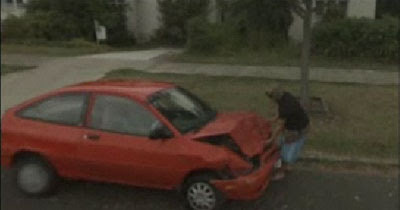 Street view is often criticised as a potential tool for criminals so it is fairly ironic that Google street view has made it onto televised news in New Zealand for catching a potential car thief in the act. New Zealand's 3 News has the story here and on video here. 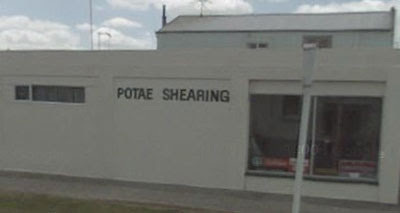 According to the 3 News video report spotting sheep on New Zealand street view has become something of a national sport. Before taking anyone on at Google sheep spotting I suggest you get some practice in with the images below. Can you spot the sheep in the street view video below? If you couldn't spot the sheep in the video try to spot the sheep in the street view below? Can you spot the mutton chop in the shot below? How about this salon for sheep? And finally, the black sheep.